I realized the importance of blood donation in the year 1997 when my uncle underwent a major surgery. After that incident, my brother Raghu & I became passionate about voluntary blood donation. My passion also rubbed on to my friends during college days. And now even my wife is enjoying the activity of voluntary donation! I am very proud of her. Through this article, I want to persuade people to consider voluntary blood donation on a regular basis. There are so many benefits to us as donors (if you are thinking WIIM? – What’s in it for me). I will enumerate 7 key benefits below. Your blood will go through several tests (BP, HB, Elisa etc) and hence you know where you stand during every donation. 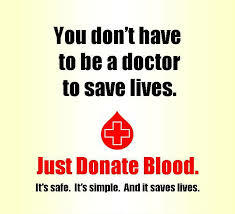 You will get a free physical test and blood examination during every donation! The goal of donating regularly inspires you to take care of your body and be in a great shape. You will have a larger goal in life; your fitness will be another person’s lifeline! 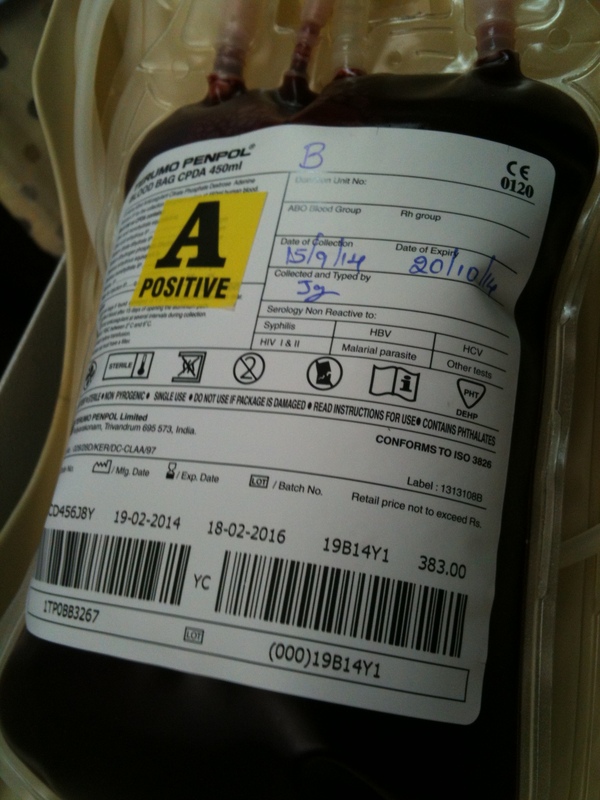 The possibility of my blood can go into 3 bodies and be with them gives me goose bumps. It’s great to see joy, hope and life on the face of recipients and their family members. We will know the real meaning of gratitude when someone donates blood to our dear one. You can also feel, see and hear the feelings of gratitude when you donate one unit and meet the recipient or his/her family. I have been in both situations and words cannot express those feelings. In 1998, my friend Rajappa (fondly called Todeyar) and I donated blood to a 5-year old girl who underwent a surgery. I met the parents after donation and they treated me as if I was the God’s messenger to their prayers. Very rarely we get to experience such feelings of serving a higher purpose and meaning in life! I hope people who read this article consider donating one unit of blood at least once a year (you are eligible for 4 units per year). Our next donation is planned on 25th December, and I welcome people to join Anusha & me in this journey! By the way I am excited about my 25th Donation in March 2015!